Incognito™ Orthodontic Braces are placed behind the teeth, so that they are virtually invisible when you smile. 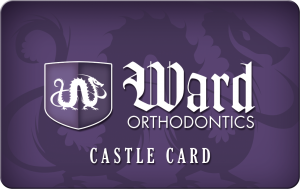 These unique braces use state-of-the-art technology and are customized to fit your teeth perfectly. This is the only type of invisible fixed brace system available in the market today that can give you a bright and beautiful smile, even while you are still wearing them. Unlike other dental braces, Incognito Braces are customized to fit the shape of your teeth. This feature significantly decreases the number of times your braces have to be adjusted. Not only that, but the results are seen more quickly compared to traditional metallic braces. The result is quicker and more efficient tooth movement, as well as great aesthetics. Anyone can wear Incognito Braces, including both teenagers and adults. Students and professionals now have the choice of wearing invisible braces! If you are considering orthodontic treatment, ask your dentist if you could be a candidate for Incognito Braces. Call us today to set up a consultation or visit www.hiddenbraces.com for more information. Look great while you straighten your teeth … invisibly!